Hey there friends! 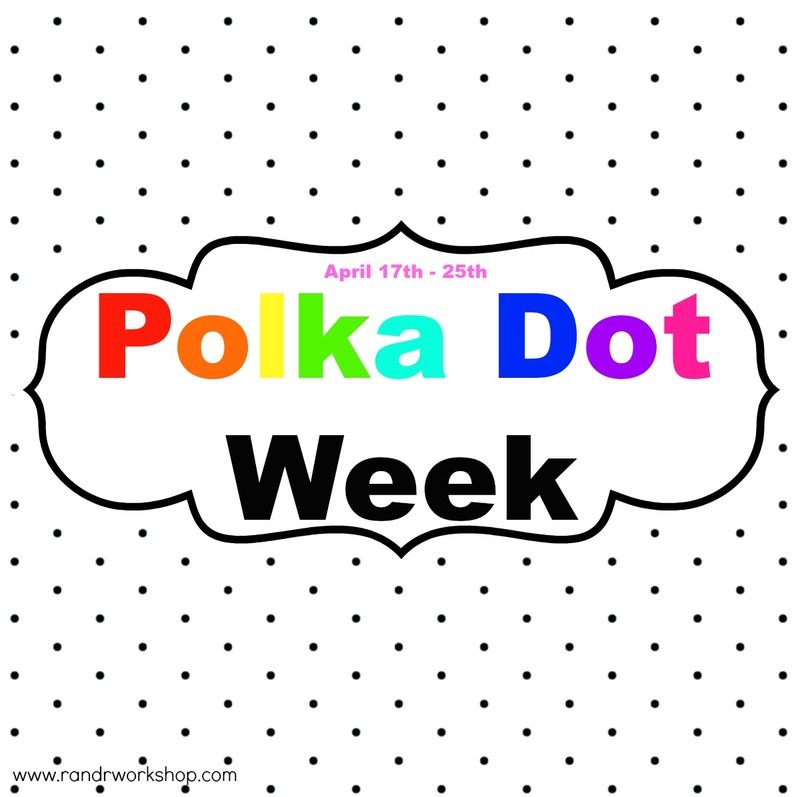 I’m super excited to be a part of R & R Workshop’s Polka Dot Week this year! 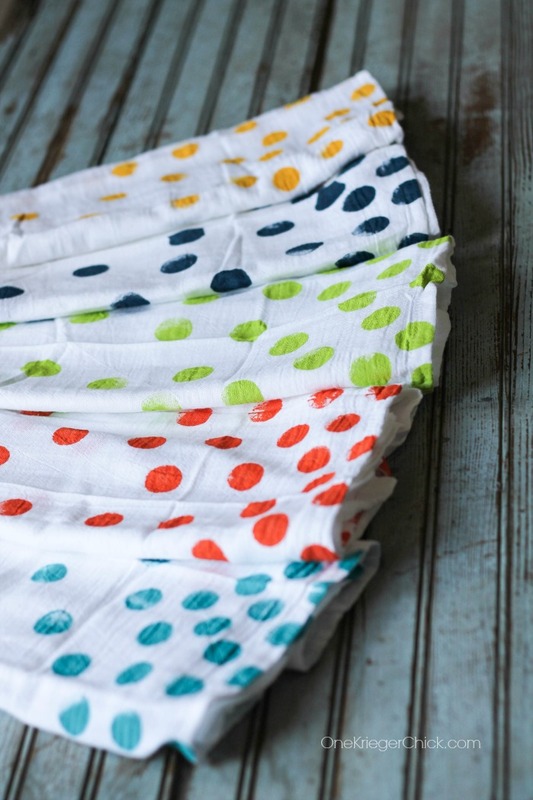 All polka dots, all week…SO fun, right! 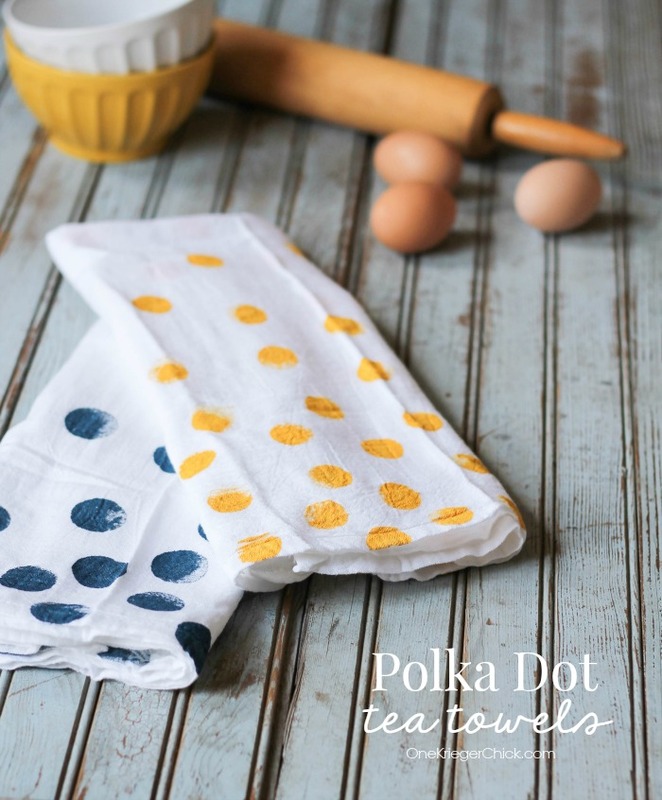 Well, I happen to LOVE polka dots and LOVE fun tea towels in my kitchen, so really combining the two was a natural fit! 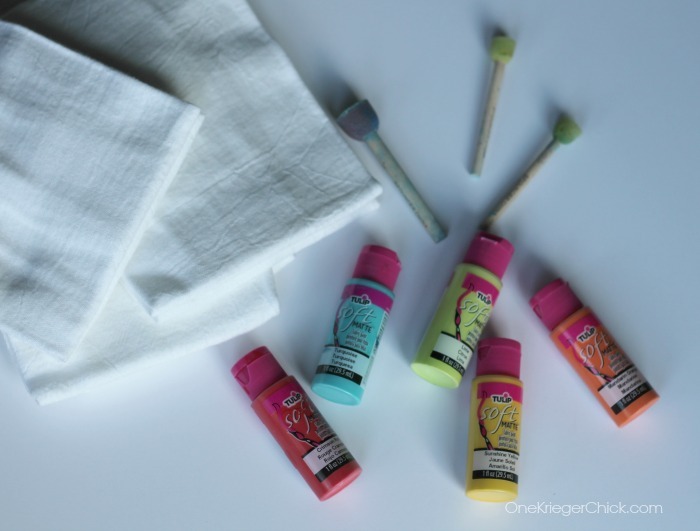 Create an entire rainbow of towels…Why not! And…You know the best thing…They are SO easy to make! Seriously! 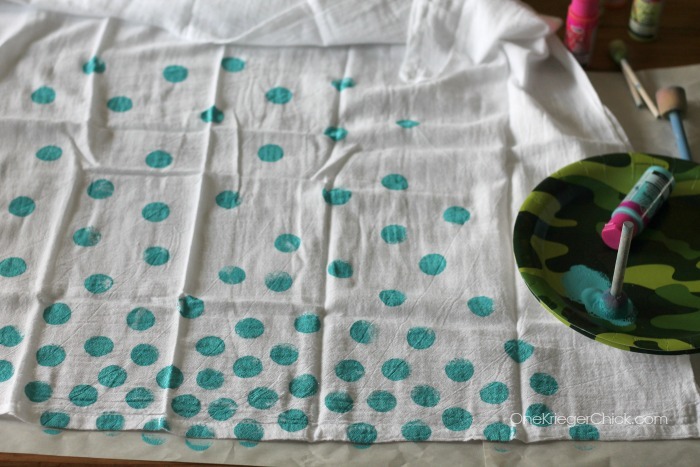 You’ll need…plain tea towels, fabric paint, and a circle shaped stamp. Lay the towel out on a flat surface with paper underneath. The towels are so thin that the paint will most likely bleed through to the surface you are working on. Then get stamping…I started at teh bottom of the towel and stamped the bottom pretty heavily, then stamped the circles farther apart as I went up the towel. I wanted to give it a confetti look. And then…because the first two were so stinkin’ adorable, I made a few more…all bright colors…perfect way to brighten up my kitchen! Craving more Polka Dot inspiration? 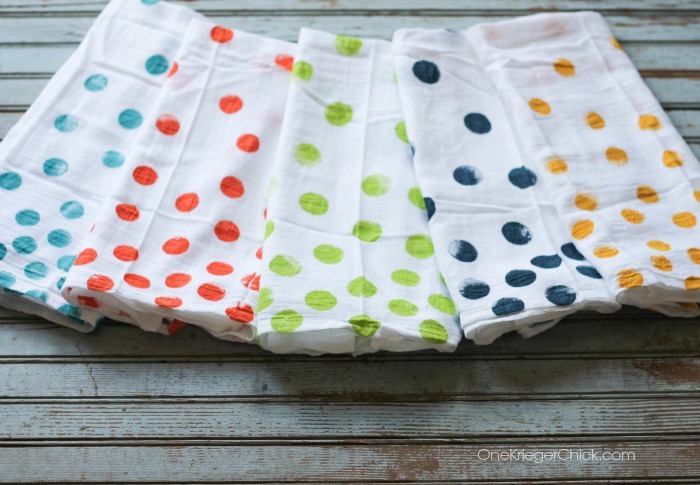 Check out all of the other projects from Polka Dot Week!